The many thoughts of a reader: PrintRunner Giveaway! I have the awesome opportunity to giveaway 5 by 7 postcards (100!!) from Printrunner! Looking around their website, you can find so many different products. I was especially interested in postcards, because I have a personal goal of sending out a piece of mail at least once every other week this year. Personalized postcards would be perfect! 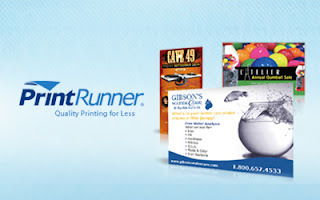 I like browsing online printing companies, such as PrintRunner, for ideas, much more than in-store because there are sooo many options and pretty colors distract me! I also like that you can design your own and with a click print postcards that have sentimental meaning, are goofy or are just plain fun! *Giveaway is open to US Residents only, ages 18 years old and above. I really recommend checking out all they have to offer! After entries close, I will be contacting the winner to get their name and email address to send to PrintRunner who will take over from there! Thank you to PrintRunner for providing this giveaway, I will receive a set of postcards for hosting this giveaway. First Day of Summer Vacation.. Writing from the Male Perspective..